The Handbook of Industrial Crops is a comprehensive exploration of 12 important agricultural components of economy and export trade. The book examines the aspects of cultivation and trade in addition to the available information on the evolution and adaptation of each agricultural crop. With this extensive resource, you get detailed, up-to-date information on each species’ origin and botany, cultivation and harvest, and prospective future of available production and demand to set you up for higher production and sales. 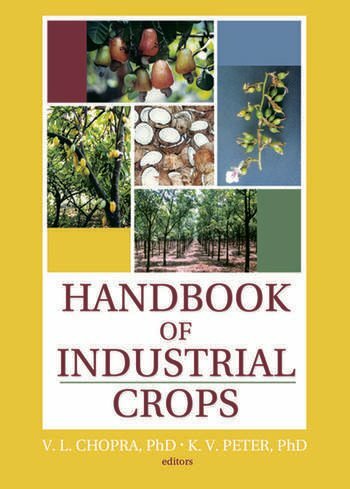 With the Handbook of Industrial Crops, you will gain extensive knowledge from the world’s leading experts in plantation crops and individual species. The book supplies the most recent statistics in world production, yields, and income potential. In this manual, you’ll find numerous references, tables, and figures, along with contact information for research centers, organizations, and government entities to help you further.